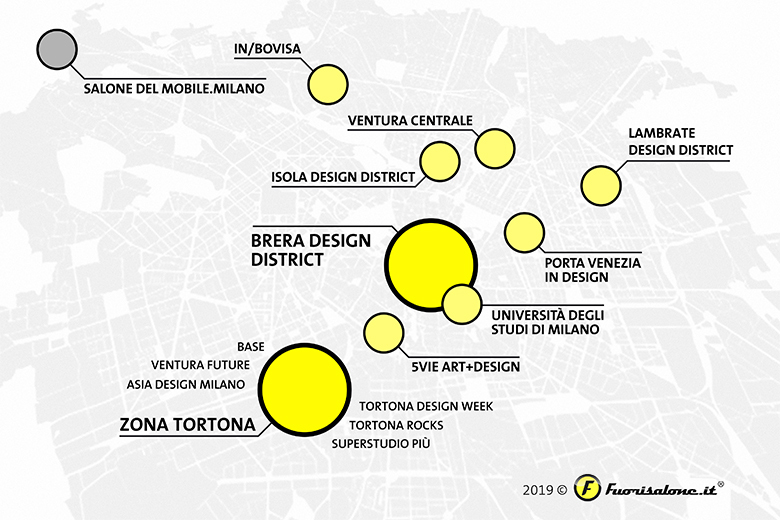 The Fuorisalone event sees the involvement of almost all the districts in the city, even though some are more active than others in terms of offering high-profile initiatives. Moreover, since the advent of the Fuorisalone event, some districts have been assigned the endorsement by the Municipality of Milan, providing a quality certification for the events and initiatives featured in every district. Brera district: M2 (green line) Lanza, M2 (green line) Moscova. Although Tortona is the name of a single street, during the Fuorisalone the events in its neighbouring area – namely the one lying behind the Navigli, known for its “viby” atmosphere – multiply. The area, home to former warehouses and factories, becomes a major display platform featuring a slew of futuristic, original and experimental events targeted, according to the organisers, at creating a truly knockout effect. Big names and loads of emerging talents create an urban workshop of contemporary design. 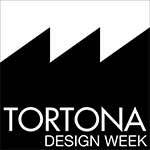 Design Week in Tortona promotes various events spread over some of the most important hotels and recently renowned open spaces. Tortona district: M2 (green line) Porta Genova, M2 (green line) Sant’Agostino. 5 Vie district: M2 (green line) Sant’Ambrogio, M1 (red line) Cordusio. The once abandoned 11 spaces of the Magazzini Raccordati in via Ferrante Aporti, formerly home to important local warehouses, provide visitors with a visually evocative experience. Under the rough tracks and characteristic vaults of the Milan’s Stazione Centrale creativity – a specific focus on design from the Netherlands and Belgium – takes centre stage featuring an eclectic mix of contemporary design by showcasing both emerging as well as established brands. Projects in the area are curated and powered by the international design organisation Ventura together with local association Centrale District, spread over the core areas of Centrale Railway Station and the nearby area of Repubblica. Ventura Centrale: M2 (green line) and M3 (yellow line) Centrale F.S. and M3 (yellow line) Repubblica. Formerly a historical industrial site, the Lambrate District has been undergoing a significant process of urban redevelopment since 2000. Thanks to the collaboration with important international design companies, the area that spans from the spaces of Spazio Ventura and Spazio Lambrate, that used to host old warehouses and industrial complexes has now been transformed into a symbol of innovation, freshness and quality. Here particular attention is given to sustainability and to eco-friendly design solutions. Porta Venezia in Design combines the contemporary side of design to the art and architecture of the liberty style characteristic of Porta Venezia area. This area is particularly interesting for its Liberty itineraries organised in collaboration with FAI-Fondo Ambiente Italiano free and upon reservation. During the Fuorisalone showroom and stores introduce the latest creations in design with a particular focus on Liberty style and the food&wine field. Located in the shadow of the ‘Bosco Verticale’ and the skyscraper of Banca Intesa, Isola Design District, with its myriad courtyards of the times gone by, shop windows and open spaces, nestles the creations of young, emerging talents in art and design. The various design creations spread all around the district challenge boundaries and celebrate all forms of design, from the most traditional examples by local artisans up to cutting-edge innovations.